Brace URself jewelry collection is the combined artistic vision of mother-daughter designer team, Sue and Amanda. Born of a shared passion for style, creativity and the yearning to make a real difference, the line boasts an extensive variety of handmade, eclectic stackable jewelry. Brace URself is beautiful jewelry, but really it is so much more. To create their ethereal and edgy pieces, Sue and Amanda carefully choose materials from all over the globe; crystals, semi-precious stones, skull and Buddha beads are just some of the elements used to tell each piece’s story. Every unique style is lovingly named, created with positive intention and Brace URself’s one-of-a-kind customer in mind. Whether simply to add a pop of color to a look or to draw certain energy into a client’s life, Brace URself designs are both fashion-forward and meaningful. Working with their in-house production team, Sue and Amanda design their high quality jewelry in their Philadelphia studio. Each piece is unique with the exception of one essential component, a single multi-faceted purple bead representing Sue and Amanda’s commitment to the fight against Alzheimer’s disease. They use the success of their line to help raise awareness of and do their part to help in finding a cure for Alzheimer’s disease, a cause they have personally been affected by. Sue explains, “My mother-in-law lost her battle to this dreadful disease as have other close relatives, and now my own mother is an Alzheimer’s sufferer. Alzheimer’s disease not only robs the patient of who they are, but it is an incredibly difficult journey for those who love them and watch them slip away. One of the greatest things about Brace URself is the little purple bead often sparks a dialog. It’s amazing to me, on almost a daily basis I meet someone who is personally affected by this life changing aliment. It is our hope that, the little we are able to do will make a difference in people’s lives and help to pave the road to a cure.” Each year a loving donation from the proceeds of the company’s sales is given to the Alzheimer’s Association. Style, love and giving back remain at the heart of what this family-owned and operated company is all about. Brace URself for every gift life has to offer! Amanda, of the mother-daughter jewelry design business, Brace URself, grew up in Villanova, PA, a Philadelphia suburb known as The Main Line. Influenced by her stylish mother Sue, Amanda fell in love with fashion at a very young age. 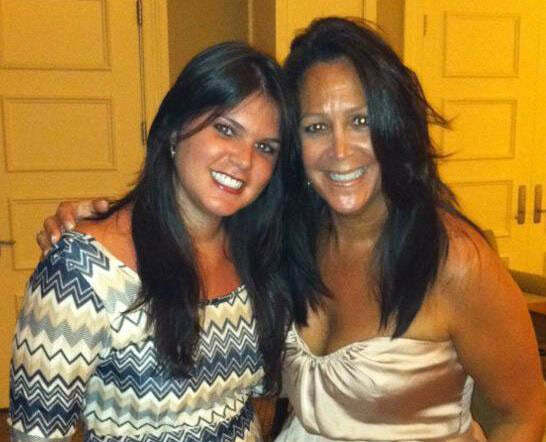 Like her mom before her, Amanda too worked in fashion boutiques in the Philadelphia area during her late teens. She took her life in a different direction and graduated from Indiana University with a degree in Elementary Education. Though she still teaches and is quite passionate about this pursuit, her first love came calling when she took up jewelry making as a hobby. Friends and family began asking Amanda to make her unique bracelets for them. Soon she was spending most of her time working on these pieces, and Sue began to assist her. Before they knew it, Brace URself became their full-time jobs and a family business. Sue, of the mother-daughter jewelry design duo, Brace URself, was raised in Huntingdon Valley, just outside Philadelphia, PA. She spent her teenage years working in a variety of fashion boutiques, but it wasn’t until she graduated with a Bachelor of Science Degree from Philadelphia University that she found her niche in the industry. At a much-lauded, upscale Philadelphia women’s boutique, Sue showed a keen eye for jewelry, quickly climbed the ladder and was promoted to the store’s sole Accessories Buyer. After the birth of her children, Justin followed by Amanda two years later, Sue opted to take time off and raise her young family at home. Her flair for fashion remained and eventually rubbed off on young Amanda. Unbeknownst to her, she had given birth to her future design and business partner. 21 years later, Sue and Amanda launched Brace URself.